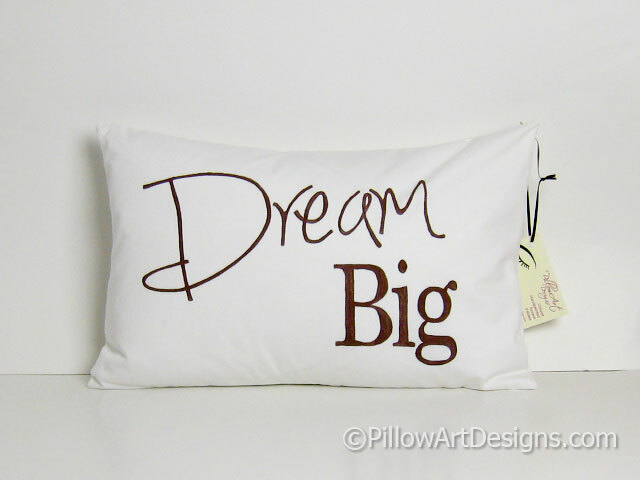 Everyone can dream big, and that's the message this inspirational pillow cover brings to your space. 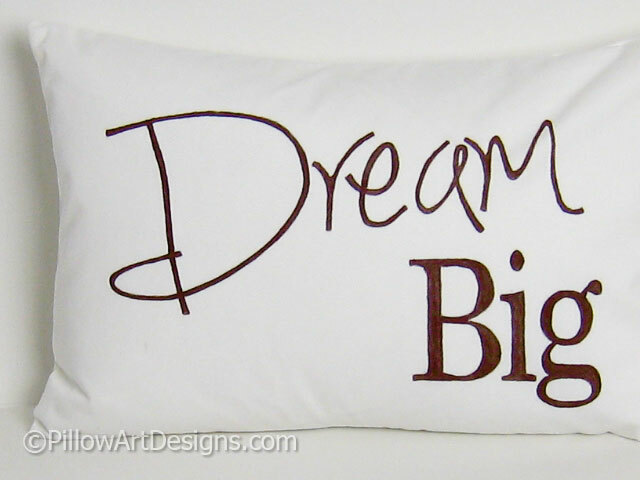 Keep thinking positive and dream big! Cover is sized to fit a 12 inch X 18 inch, 30.45 cm X 45.7 cm insert (not included). 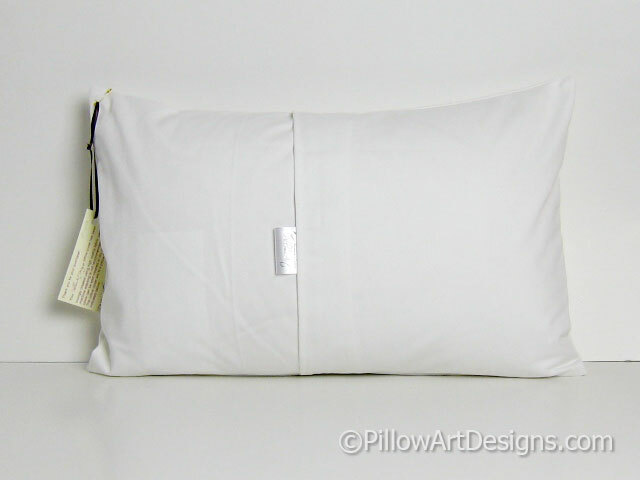 Fabric is white cotton twill. 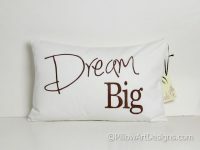 Words painted in chocolate brown. High quality fabric paints, will not wash off, flake or rub off. Available also with down feather insert as shown in photos, please contact me if you wish to include the feather insert. Price is an additional $10 plus shipping to your location. Handmade in Canada, ready to ship.